The Ath and the Mile of History Association team up for a reading from Margaret Bingham Stillwell by master storyteller Robb Dimmick. Tues 4/23, 5:30-7:30pm. Celebrate music at the library when the talented Heifetz International Music Institute students join us for an incredible performance. Fri 5/10, 5:30-7pm. Cheers to those who make the Athenæum's programs possible, especially to our 2019 spring season sponsor Bank of America! Invite your wedding guests to join you amidst thousands of books, card catalogs, stately busts, and library ephemera. Attention, canines! Biscuits are always available at the Circ Desk when you visit with your human. Discover what Edgar Allan Poe checked out from our Collection. Did you know the Athenæum purchases books and DVDs to fulfill member requests? Meet the staff members you bump into amongst the stacks! 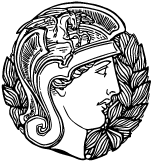 The Providence Athenæum seeks to enrich the literary, cultural, and intellectual pursuits of its members and surrounding community through extraordinary collections and innovative programming. Committed to the stewardship of our historic building, the physical culture of books, and the advancement of the humanities, the Athenæum welcomes diverse audiences and spirited conversation.